Please note: This event occurs at a different time than originally advertised. If you registered for the original event, you’ll need to register again to ensure your spot. 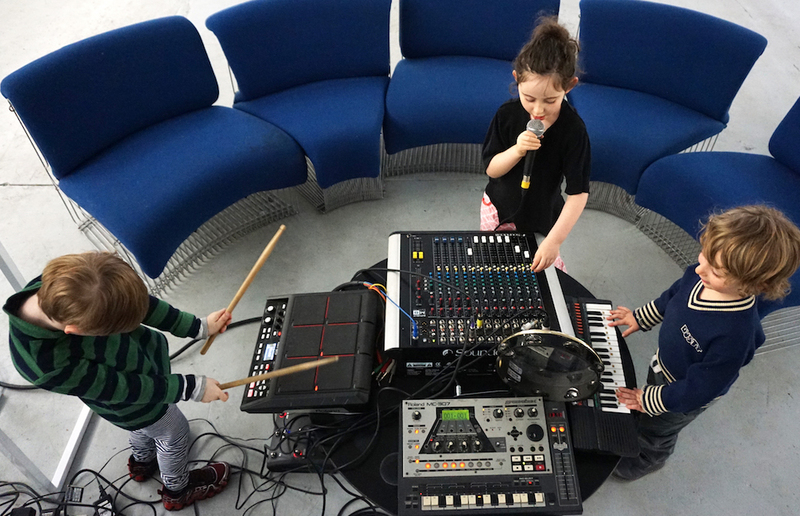 Your kids are invited to MPavilion to experiment with samplers, drum machines and keyboards at Club Kids Music Academy—a space where children have the opportunity to learn, play, tinker and share in the fun of creating experimental electronic music. Using samplers, drum machines and keyboards in an environment that fosters the freedom of making music, Club Kids is designed for kids three to eight but open to anyone—all ages and abilities are welcome to come play with the ‘grown-up toys’ used by today’s top musicians. No blip is too blippy. No squelch is too squawky. Club Kids Music Academy is all about the learning, excitement and wonder found in pure experimentation. All events at MPavilion are free, however Club Kids Music Academy has a limited number of places. To guarantee your child a spot, please register for one of the sessions (parents and guardians need not register). Drop-ins welcome too (but spaces are limited)!